With a last minute course confirmation numbers were slightly down, but a huge thank you must go to Dene Stringfellow for the amount of work he did to keep the fixture. 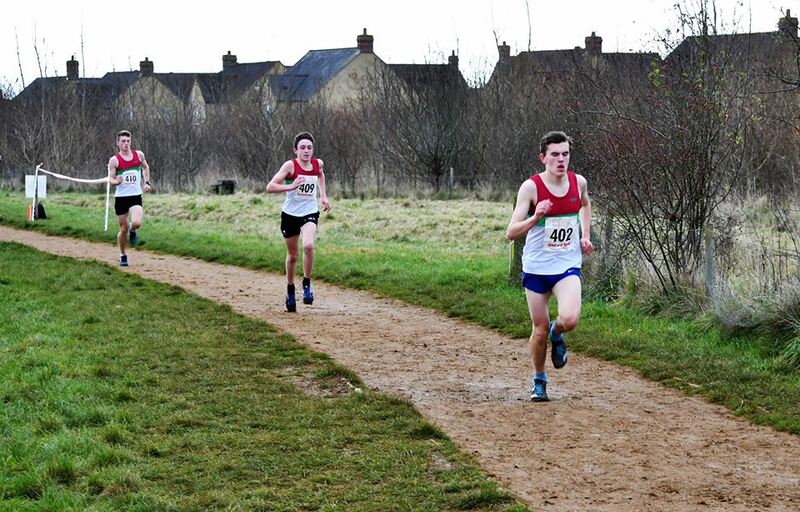 The Carterton course was fast and flat, with many twists and turns, and from a Harriers spectators point of view the best race of the day was the U15/17 Boys race. From the gun Owen Knox, Skip Snelson and Reuben Trotter took the race on in first, second and third, closely followed by Daniel Roberts in 6th. Owen strung the field out with a strong and consistent run and going into the second lap the Harriers trio kept their top 3 positions with about a 10 second gap between them. A well paced second lap by Swindon Harrier Max Sockett saw him break up the Banbury stronghold, but the boys were rewarded with 1st team place by a big margin with Owen Knox in 1st, Skip Snelson 3rd, Reuben Trotter 4th and Daniel Roberts 6th. Richie Mack and Edgar Dumbreck again had well paced runs in the U11Boys to come home 7th and 11th respectively, with Isla McGowan 9th, Frankie Scrivener 28th and Edie Brown-Lapper 45th in the U11 Girls race. The mixed U9 race saw Thomas Roberts finish well in 8th place, and Merle Snelson in 17th. Continuing her consistent season Tilly Lainchbury finished 9th for the U13 Girls, and in a good race between them Ruben Snelson was 13th and Archie Street 14th, followed by Miles Taylor in 30th for the U13 Boys. Showing a return to race fitness after an injury hampered year Tim Wright was 13th in the senior mens race, with Neil Frape in his second race of the weekend still smiling in 195th. In her first run of the winter, good to see Rosie Weston finish well as 7th senior lady, with Charlotte Drummond 25th.